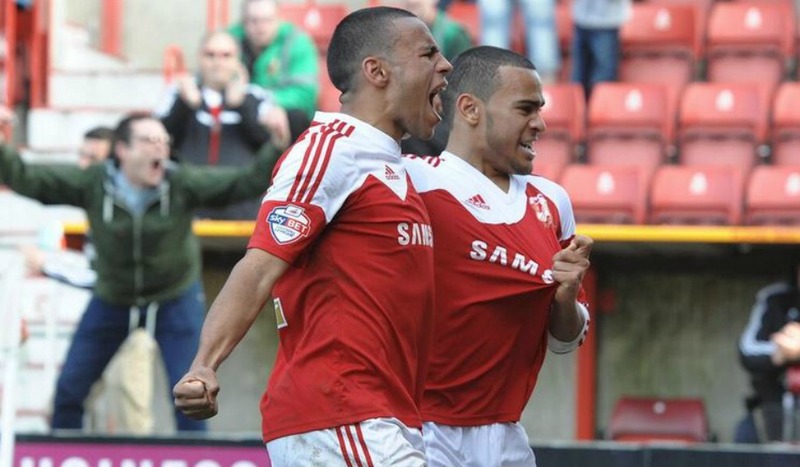 In recent years at Swindon, we have always been quick to remind ourselves that Nathan Thompson is “one of our own”. And rightly so. 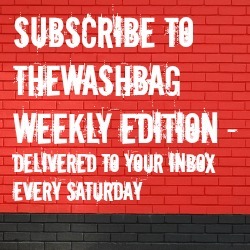 Football is very tribal, and fans will understandably warm to players with a deep and longstanding connection to their club, such as Nathan and his brother Louis. However, these lads really are two of a kind. When we consider which others have progressed through our system and gone on to play regular league football in recent times, the results are strikingly poor. Academy football begins for boys of a very young age. In keeping with most clubs, Swindon operate teams from the Under 7 age group upwards, and have done for some time. However, although several youngsters have achieved moderate success after a fleeting appearance in the club’s youth system, they have almost invariably been recruited with the bulk of their development behind them, such as Miles Storey (from Coventry, aged 16), Sean Morrison (from Plymouth, aged 16), Callum Kennedy (from Reading, aged 16) and Lukas Jutkiewicz (from the Southampton area, aged 15). Aside from the Thompsons, the only one to have made it “through the system” since the turn of the century (by which I mean entering the Swindon Town youth setup before his 15th birthday, and going on to make a minimum of 12 league starts for the club) is Michael Pook, a midfielder who appeared occasionally from 2003-2009 before being released and drifting out of football. Swindon is a big town, and there’s no other football league club within 30 miles. Our catchment area is untypically wide, and we should capitalise on this. Yes, I appreciate that bigger fish have an element of control, and can cast their net beyond their local area when recruiting players… but there’s no way that this justifies a club of our size producing virtually no players at all over a 15-20 year period. We get things badly wrong. The recent sale of Will Randall is a case in point. We can’t sit and moralise about him being ‘poached’; he has been on the scene here for a while, and made his debut in May 2014, but was given a further two starts for the club during the subsequent 20 months. During these games, he was joined in midfield by the likes of Harry Agombar; frankly, the matches were considered totally irrelevant. During our prolonged poor spell from September – November 2015, when things mattered more, the midfield looked extremely weak at times, with the likes of Momar Bangoura and Henrik Ojamma making multiple appearances without showing any real hint of ability. Meanwhile, during that desperate run of form, Randall, Lee Marshall and Tom Smith, each of whom are home-grown midfielders, merely took turns to make up the numbers on the bench. They made a combined total of two brief sub appearances. We don’t know what fee Randall was sold for but, on the basis that, with his 19th birthday approaching, he has hardly made a first team appearance, it seems unlikely that the club could have demanded much. The case of Tom Smith seems to demonstrate that the odds are stacked against these lads. On his most recent appearance from the bench, the third of his career, he scored a quality long-range goal which helped the team to a win at Crewe way back on 5th September. Since then, he hasn’t had a sniff, in any match, in any competition. Others have arrived from the depths of non-league, below Conference level, and excelled. Charlie Austin is, of course, the most striking example, and Ben Gladwin is another. Others, in very recent times, have been signed from a really low level, and been given regular football straight away. 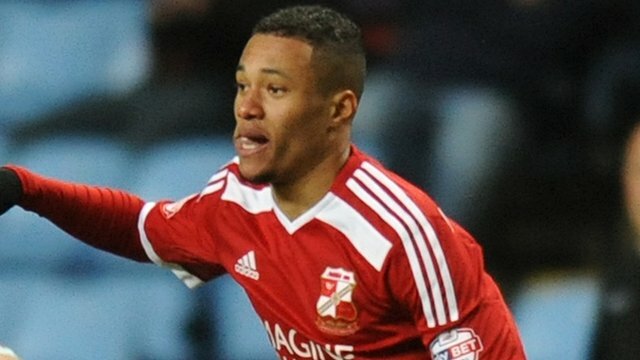 Jermaine Hylton signed from Redditch United, of the Southern League, last January, and made his debut at Coventry just a few days later. He has now played 24 times. In July, James Brophy came from Edgware Town in the tenth tier; to put that into perspective, it’s the same level as Purton FC. Yet he has appeared in most games this season. Sure, both of these lads have shown some promise, but do they really deserve to have been thrown straight into the first team, each spending far more time on the pitch than all of our first year pros combined? What adds to the intrigue is that, during the last 20 years, we have had so many managers, so many owners, and so many “ideologies”… yet the results have remained consistently poor. It’s unsurprising that youth development was not high on the agenda of someone as volatile and impatient as Paolo di Canio. However, in fairness to him, he converted Nathan Thompson into a first team regular. This was after Thompson, in keeping with most of our youths, had been given just three starts for the club before his 21st birthday. Paolo also gave Louis his debut, aged 17, in a 4th Round FA Cup tie at Leicester City. If anything, the Italian did a better job than some of our longer servers in recent times, such as Danny Wilson and Mark Cooper, each of whom relied heavily upon young players from elsewhere, whilst routinely ignoring our own. Logically, youth development should be a key feature of Lee Power’s club management, but there has been little to suggest that anything is being done to turn the tide. If I had a young son who could play football, there’s little doubt that (after demanding a DNA test) I would advise him to sign elsewhere, if logistics allowed it. Such as Southampton, perhaps. On Saturday, James Ward-Prowse, who was born near the south coast and joined the club aged 8, scored a couple of goals on his 93rd Premiership appearance. He recently turned 21. He was joined in the starting line-up by Matt Targett, who was born near the south coast, joined the club aged 8, and recently turned 20. Others have played dozens of times for the club, before being sold for substantial eight-figure sums, such as Alex Oxlade-Chamberlain, another local boy who joined the club aged 7. And let’s not forget that, whilst these players were coming through the system, Southampton were most certainly not a Premier League powerhouse; they were a crisis-stricken third division club with substantial debts, who had points deducted and kept losing to Swindon. Youth development has played a massive role in their revival. It can be done. Jordan Turnbull started out in the Swindon youth system, before transferring to Southampton and eventually returning here on loan. We’ll never know for sure whether, if Turnbull had remained a Swindon player, he would have been given around 70 games, and been voted Player of the Year in a highly successful season, ahead of his 21st birthday. But, based on the experiences of others, it seems very unlikely. Perhaps Southampton will give him a chance next season; I hope for his sake that they do. But, even if they don’t, I’m sure that he will, quite rightly, have the chance to remain on board here. And let’s face it, even if his performances were to dip a little, it’s pretty unlikely that a local lad from our youth team would be allowed to take his place. So, I’d like to wish best of luck to Randall… and, more to the point, to those who remain on board, such as Marshall, Smith and Josh Cooke. Because, as things stand, they’ll need it. Pook is still in football, moved down the ladder yes, drifted out, no! The simple factor is we can’t tell – for loads of reasons – the best kids in their age groups will get sold at an age before they are even near the first team. I always find it interesting that my eldest son goes to football coaching (under 7s) after school and its ran (very well) by a couple of guys in Reading FC tracksuits. We may have a Chippenham postcode, but Swindon is only ten miles down the road! Therefore if my boy turns out to be the next big thing, I will be watching him do his thing at the Mad Stad rather than the CG.